Taking the role of front woman Stevie Nicks, Kathy Phillips IS Stevie Nicks. An amazing New Jersey singer/songwriter, Phillips captures the essence of Stevie in every way – her voice, demeanor, clothing, stage presence and more. 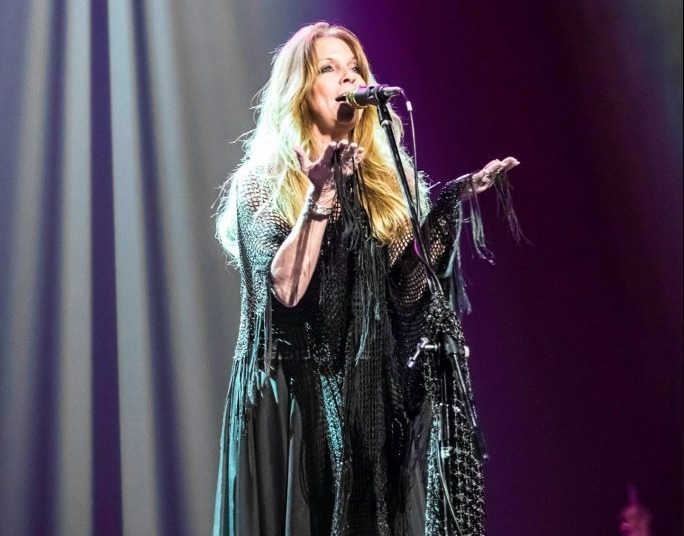 A professional musician for over 20 years, Kathy has been known for her incredible original music as well as her uncanny vocalization and Stevie Nicks look. Phillips fills the shoes of Nicks with such ease, she leaves audiences truly mesmerized. 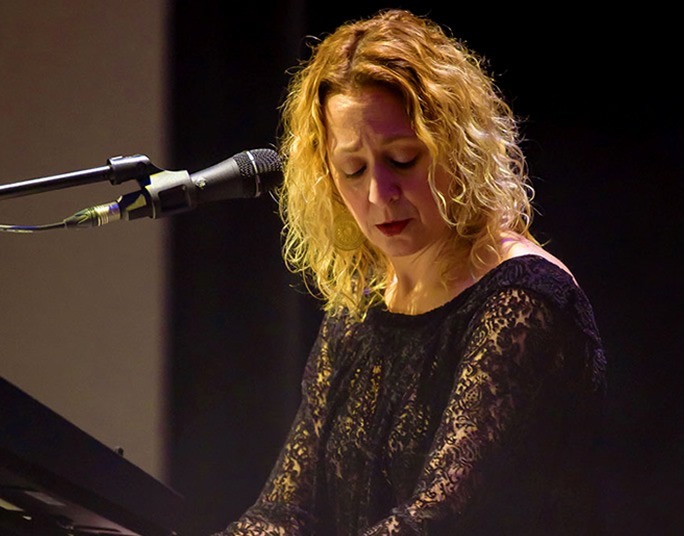 Christina Alessi is a veteran singer and songwriter who frequented the iconic stages of Maxwells, CBGB and The Mercury Lounge, most notably opening for Bon Jovi at then-Giant’s Stadium. Alessi’s influences draw deeply from classic rock, folk, and old blues and soul. When not working with Tusk, she fronts Christina Alessi and the Toll Collectors, a high powered folk/ rock explosion with smart songs and soul-stirring performances. Vocalist and multi-instrumentalist Kim Williams has spent decades honing her craft, deftly switching from rhythm section to solid lead player without missing a beat. Hearing and replicating tight vocal harmonies, a hallmark of the Fleetwood Mac sound, is no problem for this choral music enthusiast. Classically trained on piano and voice, a huge fan of 70s classic and southern rock, and raised on Willie and Waylon, Dolly and George, and the Great American Songbook, Kim uses all of her influences, years of training, and natural instincts to bring the music of Christine McVie and Fleetwood Mac to appreciative audiences all around the region. Jerzy is a singer, songwriter, and pianist from Central New Jersey. She wrote her first song as a college freshman in the basement of a practice room in Allentown, Pennsylvania. After that, nothing was the same. After graduation, she spent a few years developing her sound at clubs and coffee houses in New Jersey, New York City, Philadelphia, and Delaware. Gradually, her own voice emerged – vocals that quickly shifted from tough to vulnerable, backed by percussive piano parts. Though a lot of her music is personal, Jerzy also loves collaborating with others. 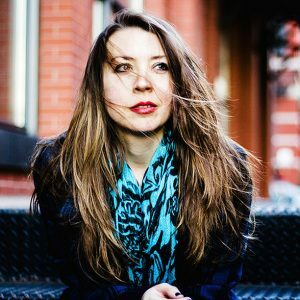 She is a proud member of the open collaborative production company hitRECord, and has appeared in several episodes of the Emmy Award-winning Pivot Network television show HitRECord on TV. 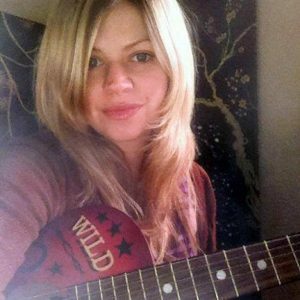 She also has a folk pop duo project, Bryter, with UK hitRECord artist Andrew Keeble. Their first EP, Down, was released on Bandcamp in the autumn of 2015 and has already received support from BBC Radio. Jerzy is always writing, collaborating, and recording, and plans on releasing a series of new singles throughout the year. 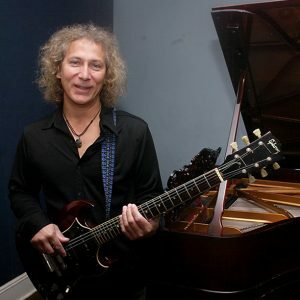 Scott McDonald, guitarist and vocalist, has been performing for over 30 years. One of his earliest influences was Lindsey Buckingham and his amazing style of singing and rhythmic guitar playing. Having worked with the members of TUSK over the years in various other projects, his cohesion with the players evolved and strengthened to where they are today. Some of his recent accomplishments included winning the 2010 Lehigh Valley Singer/Songwriter Acoustic Contest and winning the coveted slot of being the lead singer in the first “House Band” for the Lehigh Valley Iron Pigs Minor League Baseball team. Scott is passionately committed to giving his best performance possible every time he and the band recreate the incredible music of Fleetwood Mac live. Joe Bilotti is a multi-styled NYC-based musician who can be found playing in a variety of musical environments. Since 1990, he has performed around the US and the globe with the world-renowned Soft Parade: Tribute to The Doors. In their travels, Joe has played to audiences in Italy, Germany, Spain, France, Costa Rica, Dominican Republic, Panama, and in the States at the nationally acclaimed Bonnaroo Festival and Hippie Fest. Joe also performs regularly with Heart of Gold Band, a classic rock supergroup, as well as an original fusion project called Eastern Potāta. His ability with fingerstyle guitar makes for a unique sound in any band he plays. When not on stage, you can also find Joe teaching at The County College of Morris in northern NJ where he resides as Associate Professor of Music. A well seasoned drummer is Tom Nelson, to say the least, who carries the task of filling the shoes of the great Mick Fleetwood. 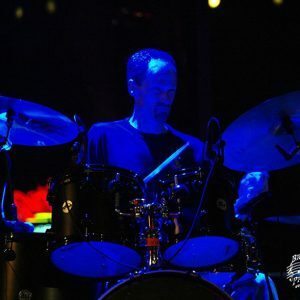 A music teacher, and long time drummer with over 20 years experience, Nelson is the guy who gets the job done. His fills are seamless, as he recreates all of the hits of Fleetwood Mac and more. Guaranteed to provide you with a drum solo you won’t forget, Nelson hits Fleetwood on all cylinders. Jim is a veteran of the local scene, with national and international touring experience to boot. 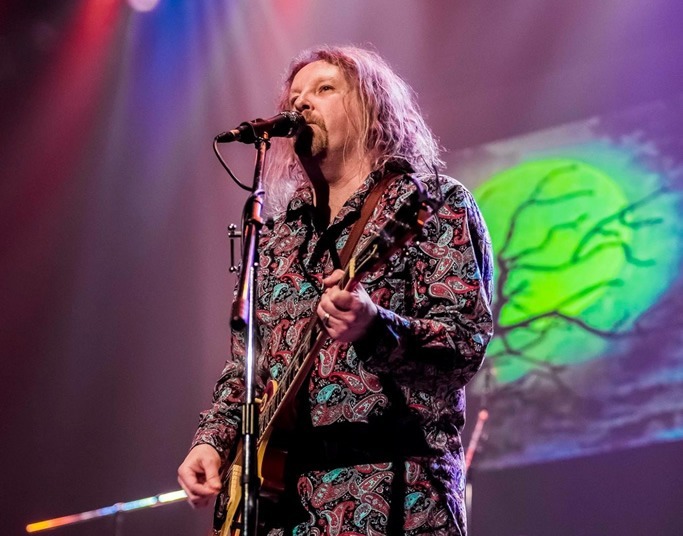 Traveling and performing with Frank Zappa tribute band Project/Object, which featured long-time Zappa alumni Ike Willis and Ray White was a recent career highlight. He has a particular interest in tribute bands and currently performs Billy Joel tribute shows with We May Be Right, a New Jersey-based group. In addition to drumming for Tusk and We May Be Right, Jim performs with NJ/PA area notables CC Coletti, Sarah Ayers and Lou Franco, among others. 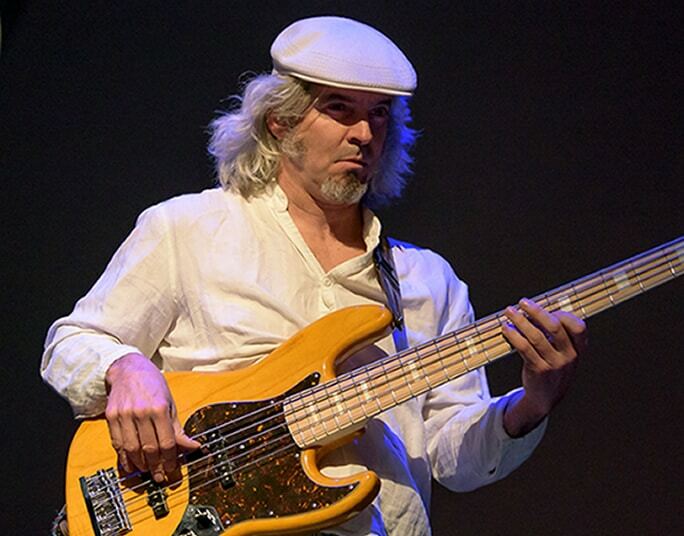 Randy brings an extensive 30 years of bass playing experience in many styles of music to Tusk. With his attention to detail, he meticulously replicates the style and tone of Fleetwood Mac’s bass player, John McVie. 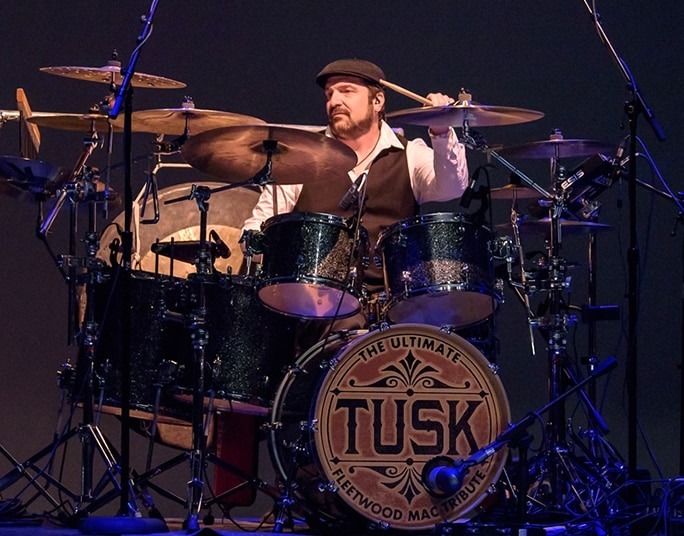 Although, not to be an exact duplicate, Randy tosses in some of his own style and flare, giving Tusk’s bottom end the authentic Fleetwood Mac sound but with an energy that translates to live performance in a way that gets audiences grooving, whether they are Fleetwood Mac fans or not. 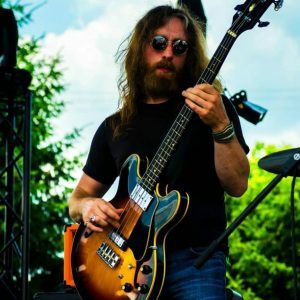 Kevin Hummel is a veteran bassist from New Jersey with plenty of experience playing various styles of music for both original and cover bands. He has toured throughout Europe and the States and has done session work for artists such as Amfibian, Black Market Radio, Lady Gaga, Jeffrey Gaines and more. He has also worked with some of the top producers such as Rob Fusari, Earl Cohen, and Godfrey Diamond. He takes his craft very seriously and it certainly shows.